Dustin Loose is an award-winning feature film director and screenwriter for film and television. Born in 1986 in former German capital Bonn, he started working as an actor and assistant director in theater, where he encountered and worked with inspirational directors such as Werner Schroeter and Christoph Schlingensief. In 2006 he directed his first film ROLLTREPPE ABWÄRTS, that became a surprisingly success in german cinemas. From 2007-2014 he studied in the Directing Class at Filmakademie Baden-Württemberg, listed among “Top 15 international film schools“ by THE HOLLYWOOD REPORTER. His films premiered on remarkable international film festivals and won numerous awards. 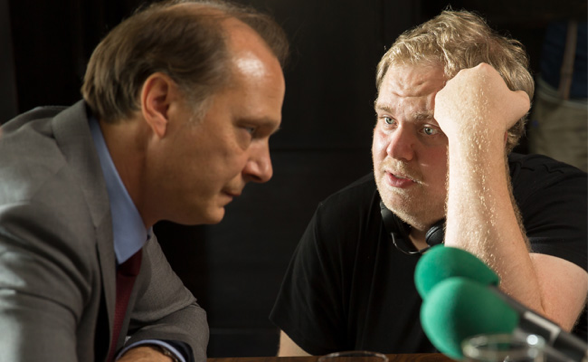 With ERLEDIGUNG EINER SACHE ("The Last Will"), an adaptation of best-selling novelist Håkan Nesser, Dustin Loose was in 2015 awarded with the »STUDENT ACADEMY AWARD« by the Academy of Motion Picture Arts and Sciences.